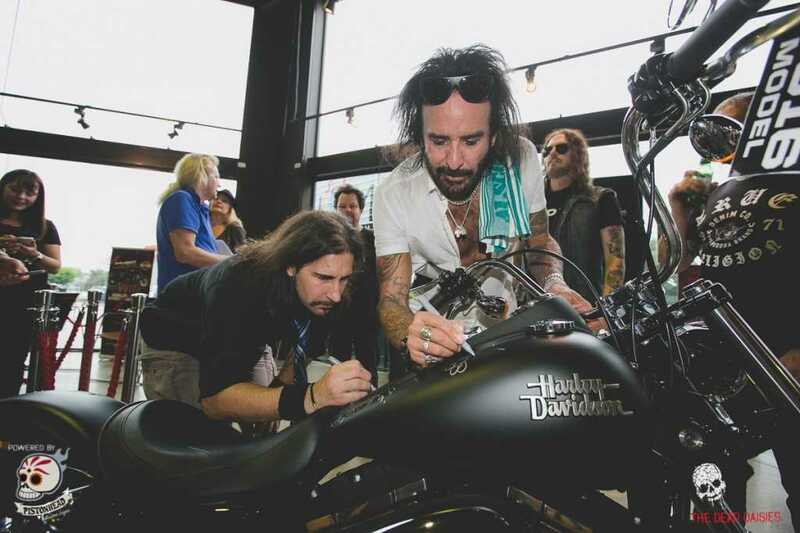 Yesterday Frasier Harley-Davidson Motorcycles hosted the “secret location event” for The Dead Daisies, transforming their show room into a full fledged rock n roll venue. Fans who won the opportunity to attend the event were given the location only days before show time, and they arrived, mostly all on their Harley-Davidson’s ready to rock with band in this super intimate, money can’t buy experience. 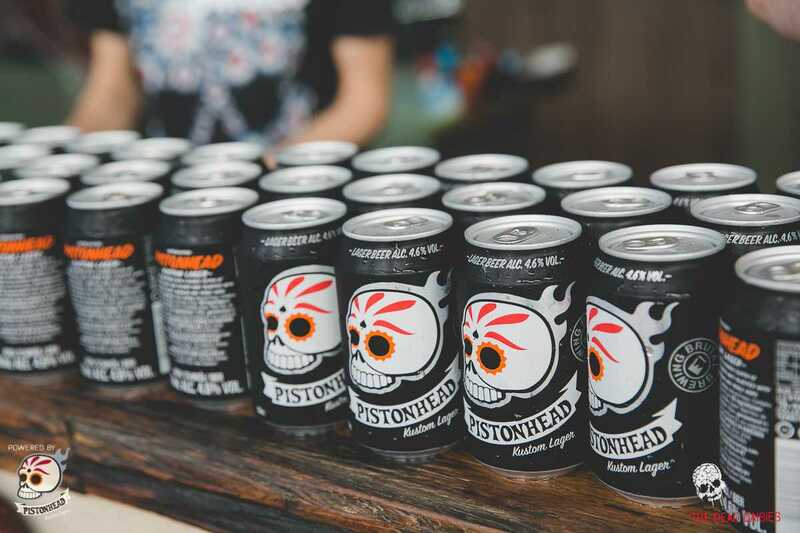 Fully catered by Pistonhead Lager and Beach Burrito, fans enjoyed drinks and nachos as they took photos and chatted with the band both before and after the performance. 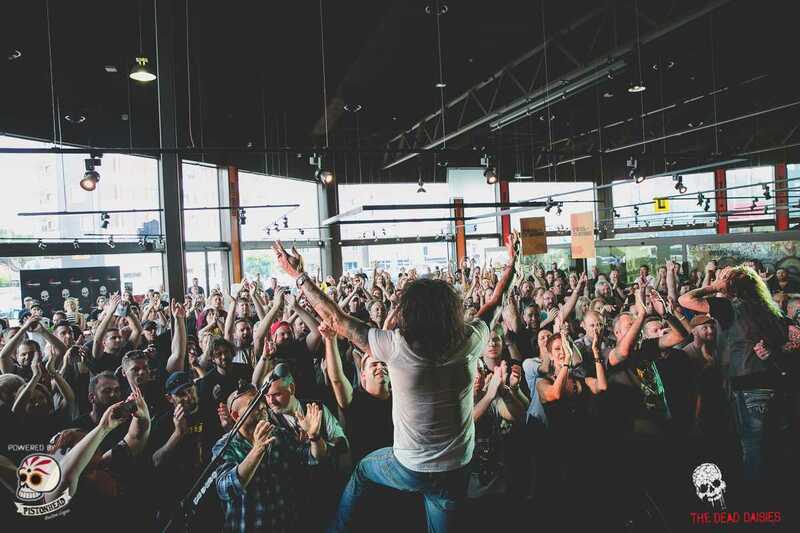 During the special show, both Marco Mendoza and John Corabi jumped off stage and performed amongst the crowd which made for great picture and videography opportunities. The set showcased many Dead Daisies favourites including; Mexico, Lock n Load, With You and I and also a rare performance of Dizzy Reed leading the vocals on classic “Knockin on Heavens Door”. Riders and rock fans seemed to fit together perfectly on a day that all will remember and look back on with great fondness. 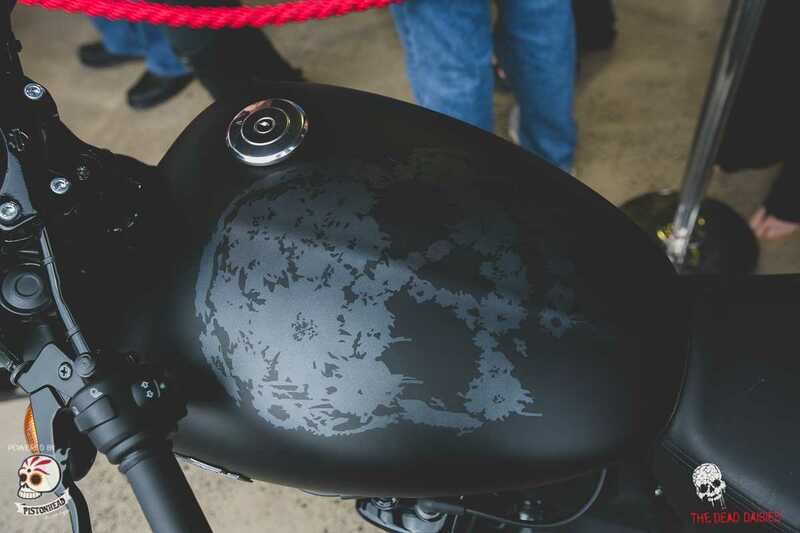 The band signed a Harley-Davidson for Fraser but also had their own custom Revolucion motorcycle was on offer for a lucky fan to win.